Mix together all ingredients except for coconut oil. Get your griddle/pan hot and spread the coconut oil over the surface to prevent sticking. Dip bread in the mixture, be sure to coat both sides, but don't submerge too long in the liquid otherwise your toast will be super soggy even after cooking. Immediately place bread slices on the hot griddle. Cook each side until the bread is toasted and golden brown. Sprinkle with powdered sugar, maple syrup, or preserves! Enjoy! Hey! I absolutely love the layout of your blog. Very jealous. 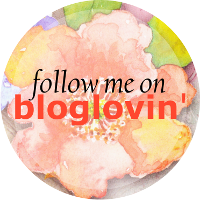 I've just started a blog and I suppose it takes a while until you're completely happy! Oh my goodness, I love you! There have been so many times that I've wanted french toast, but didn't have any eggs. And then I decide that it's not worth it to go out to buy some, haha.